Barney is a new recruit, he joined us in January 2018 at 10 months old. He has settled well into the herd and has made lots of new friends. He has taken to halter training and lead training well. He will soon start learning to go on little walks, but will be a while before he is a full trekking llama, as he is still very young. 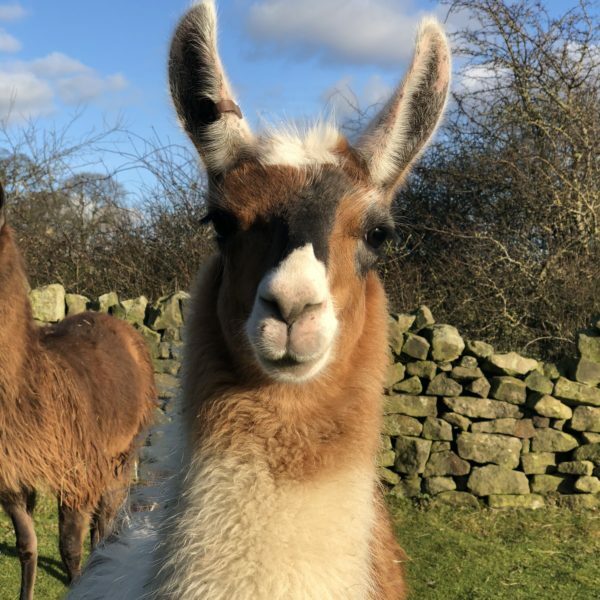 Around the farm, Barney is an extremely giddy, naughty llama who has everyone in fits of laughter! He is a very confident chap, who is taking everything in his stride and loves to meet lots of different people. We have high hopes for our barmy Barney! He is a brilliant little cheeky chap!